Hydroquinone Cream: Does It Work for Skin Lightening and Is It Safe? Hydroquinone Cream: What is Hydroquinone and Is it Safe for Skin Lightening? Hydroquinone cream is probably the most well-known name in skin lightening and it’s no wonder why – it is a highly effective bleaching agent proven to be effective in whitening the skin and fading hyper-pigmentation caused by freckles, melasma, age spots and acne scars. But it’s also a skin-lightening ingredient as controversial as it is effective. Read on to get the scoop on hydroquinine cream, how it works, and whether or not you should use it to lighten your skin. Hydroquinone Effectiveness: Does It Work? Hydroquinone is probably the most well-documented skin bleaching ingredient on the market. And all the studies agree – it’s highly effective. The way it works is simple: It is a strong inhibitor of tyrosinase, the enzyme needed to make melanin. By blocking this enzyme, hydroquinone prevents dark skin from making the substance responsible for skin color. In this way, hydroquinone decreases the production of melanin while simultaneously increasing the breakdown of melanosomes (melanin pigment granules) in the skin’s pigment cells. 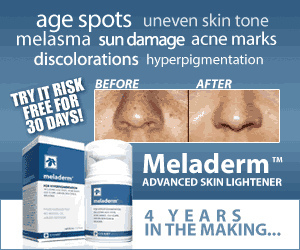 Over time, your old skin cells slough off, revealing the new skin with less melanin and a lighter skin tone. How Long Does Hydroquinone Take to Lighten Skin? Despite its classification as a “bleaching agent,” hydroquinone doesn’t actually bleach the skin because it doesn’t destroy the previously synthesized melanin – it can only disrupt the synthesis and production of melanin. What this means for your skin is that although the synthesis of new melanin is blocked quickly, the existing melanin takes its sweet time to migrate out of the skin in the process of natural exfoliation. This is why you’ll have to wait several weeks to see the results of hydroquinone. To speed up your results, you can combine the use of hydroquinone with exfoliating agents that speed cell renewal like alpha-hydroxy acids. As effective as hydroquinone is – it’s also quite controversial. In the US, the FDA stands behind hydroquinone as a safe and effective ingredient but recent data suggest that hydroquinone can act as a carcinogen (a substance that can cause cancer). In one case, hydroquinone was shown to cause leukemia in mice and other animals, causing the European Union to ban the use of hydroquinone in 2001. South Africa followed suit. The FDA and the National Toxicology Program are also conducting further studies on the health related side effects of hydroquinone but until these studies are completed, hydroquinone is still considered safe…but controversial. Hydroquinone can irritate the skin, causing mild burning, stinging, redness, and/or dryness. More rarely, hydroquinone can cause blistering and skin cracking. More seriously – and ironically – hydroquinone has been linked to causing an unusual increase darkening of the skin. The condition is known as ochronosis and it’s a long-term condition that causes the skin to become considerably darker and thicker than normal. This side effect is rare – only 22 reported cases in over 50 years – but still possible. There are also concerns that hydroquinone could cause problems with fetal development – pregnant or nursing women should in no case use hydroquinone. Honestly, hydroquinone works. It’s one of the only skin lightening ingredients that’s proven effective for lightening everything from freckles to melasma. But despite its effectiveness, you must keep in mind that hydroquinone does come with risks like the ones stated above – risks that natural, effective skin lightening ingredients don’t have. This is a strong bleaching serum that contains the maximum percentage allowed for over the counter hydroquinone – 2%. And it gives quick results – you’ll start seeing your skin become lighter in a few weeks’ time. Which isn’t surprising when you consider that this potent serum combines hydroquinone with several of the most effective natural skin lighteners like Kojic Acid, Azelaic Acid and Vitamin C to speed up the whitening process. It’s even packing exfoliants like alpha hydroxy acids (AHAs) like Lactic Acid and beta hydroxy acids (BHAs) like Salicylic Acid to further help skin turnover and speed up the skin lightening and brightening. Contains a unique blend of skin lightening ingredients – 2% hydroquinone, kojic acid, glycolic acid, and licorice root extracts – that inhibit melanin production and increase cell turnover to get rid of hyperpigmentation and give skin a brighter glow.